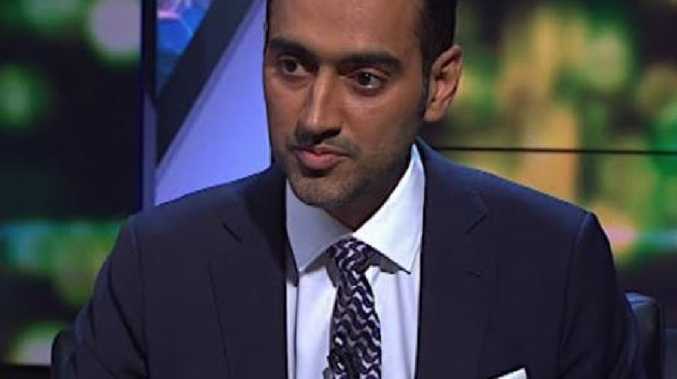 Waleed Aly asked the Prime Minister to acknowledge a problem within his party. 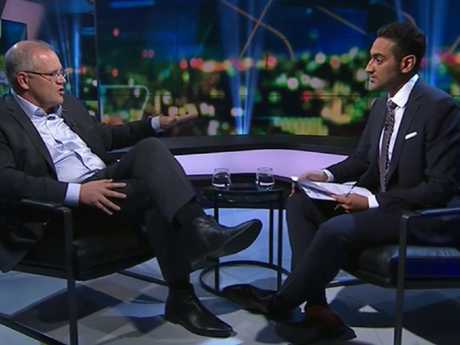 IN A no-holds-barred interview last night, Waleed Aly forced Scott Morrison to look directly at the accusations of entrenched racism, Islamophobia and dog-whistling that have surrounded his government. The Project star gave a string of examples of Coalition members appearing to implicitly condone bigotry and give white nationalists a licence to spread hatred with impunity. It is this environment that led Aly to say, in a video that went viral on the day of the Christchurch terror attack, that he was not shocked to see another massacre of minorities, and "this has been coming". He asked the Prime Minister last night: "Does your party and your Coalition have a problem of Islamophobia given that track record of behaviour?" Mr Morrison denied the Coalition had a problem with Muslims, and said he had commented on some of the controversies at the time and tried to lead by example. "My example has been to work with the Muslim community very deeply," he said. "As leader, my job is to set the right tone. And the tone I have set, you can see from my experience." He said he joined Parliament in the Sydney seat of Cook in 2007, "not long after the riots that were there and the revenge attacks that took place soon after, so I know what it looks like in a community when things turn very bad and the cycle of violence is allowed to perpetuate." He said he had spent years focusing on "bringing those two parts of Sydney together", working with Muslim leaders and walking the Kokoda Track and Black Cat Track with young people from different backgrounds. "I don't know if Australians understand Islam very well … and that can often lead to a fear of things you don't understand," he said. "In politics, I think it's important that we have disagreements but I wish we could disagree better." Following the horrific terrorist act by a white Australian, some say it is time for our leaders to confront the lack of tolerance in our society, and Aly took Mr Morrison to task on the behaviour of his politicians by pinpointing a series of controversial incidents. "You have people in your Coalition, George Christensen, speaking at a Reclaim Australia rally, appearing on an alt-right podcast, speaking at a Q Society event where horrible things are said about multiple minorities," was Aly's first example for the Prime Minister. 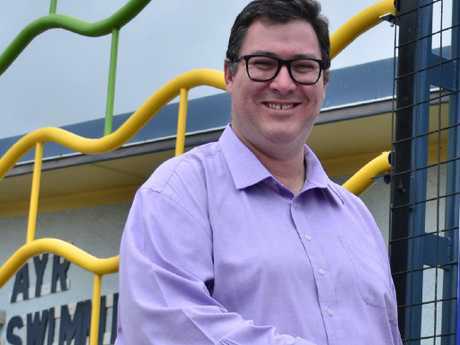 In July 2015, Coalition MP Mr Christensen was accused of pandering to racists by addressing a Reclaim Australia rally in Mackay, north Queensland. He claimed Australia was "at war with radical Islam" and must guard against "extremism of any kind". "We will not sit idly by and watch the Australian culture and the Australian lifestyle that we love and that is envied around the world, we're not going to see that surrendered and handed over to those who hate us for who we are and what we stand for," he said. In February 2017, he appeared on The Convict Report, a podcast run by alt-right group The Dingoes, who are linked to white nationalism and whose members regularly share racist content online. Mr Christensen later said he regretted the interview after The Dingoes invited US white supremacist Mike Enoch to a dinner event in Sydney. Coalition backbencher George Christensen spoke at a Reclaim Australia rally. That same month, he appeared at an event run by anti-Islam group Q Society. "Our party is made up of a lot of individuals, and in our parties, individuals who have a lot more freedom to say what they think than a lot of other parties," Mr Morrison told Aly. "It is not for the party to answer for every single member at every single occasion." He added that he "didn't support" Mr Christensen's attendance at the rally at the time. "He was a backbencher and remains a backbencher," said the PM. Aly's second example was one of Mr Morrison's predecessors. "You've got a former prime minister, Tony Abbott, saying that Islamophobia never killed anybody when actually it already had - it's not just that it was true at the time it isn't now, it wasn't true at the time - and suggested that when Muslim leaders condemn terrorism they don't really mean it," said the presenter. Mr Abbott in 2017 controversially declared: "Islamophobia has never killed anyone." This week he told the Sydney Morning Herald:"Obviously, the Christchurch killer hates Islam and killed people simply because they were Muslim. "I wouldn't repeat now what I said in an interview then because even if it might have been correct then, it's certainly not right today." However, many noted that there had been such cases at the time. In 2013, Christian militia gangs carried out ethnic cleansing of the Muslim population in central Africa, killing thousands of people. In January 2014, a terrorist killed six worshippers at a Quebec City mosque and a week before Mr Abbott's remarks, in May 2017, a man confronted for shouting anti-Muslim slurs on a Portland train fatally stabbed two people. 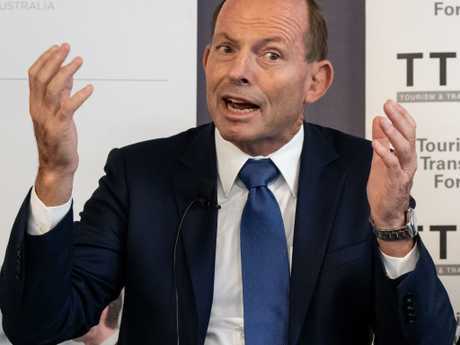 In 2015, Mr Abbott angered Muslim leaders by saying he hoped they would "get with the program" and condemn extremist violence. "I've often heard Western leaders describe Islam as a 'religion of peace'. I wish more Muslim leaders would say that more often, and mean it. "Everybody, including Muslim community leaders, needs to speak up clearly, because no matter what the grievance, violence against innocents must surely be a blaspheme against all religion." Mr Morrison told Aly: "It has been my work in Parliament to try and build these communities together, not apart. "My form is to take that experience into my own party as leader. The best way for me to address any problem is to lead by my own example." Next, Aly mentioned Peter Dutton and Fraser Anning. "You have Peter Dutton suggesting that Lebanese immigration in the seventies was a mistake, or that mistakes were made around it," said The Project co-host. "You have him talking about Mehreen Faruqi, who's a Muslim senator, who's part of the Greens, being as bad as Fraser Anning after the Christchurch attacks. "You have multiple, I think seven, Coalition senators shaking Fraser Anning's hand after he gives the 'final solution' speech in Parliament." In November 2016, then Immigration Minister Peter Dutton said there were "mistakes in bringing some people in" under 1970s immigration policies. He later singled out one group in Parliament. "The advice I have is that out of the last 33 people who have been charged with terrorist-related offences in this country, 22 of those people are from second and third generation Lebanese-Muslim background," he said. 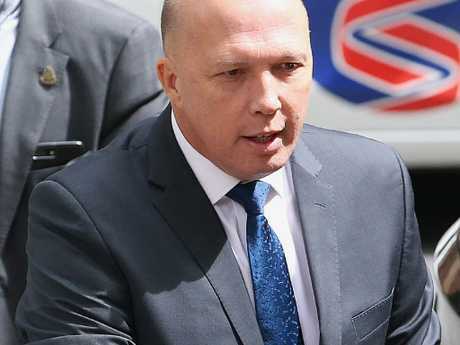 Mr Morrison told Aly "there were things that were done at that time which the immigration department would tell you today they would have done them differently" and said Mr Dutton "was explaining was some lessons that were learnt" during "a fairly tumultuous time". On Monday, Mr Dutton accused Greens senator Ms Faruqi of being "just as bad" as far-right nationalist senator Fraser Anning because she was trying to "extract some sort of political advantage" from the shooting. 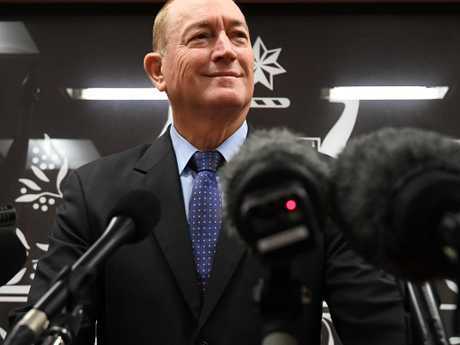 Mr Anning said the "real cause" of the Christchurch terror attacks was "the immigration program which allowed Muslim fanatics to migrate to New Zealand in the first place". In his infamous "final solution" speech in August, the senator invoked a phrase in the Holocaust as he called for a plebiscite on ending Muslim immigration. Senators including finance minister Mathias Cormann and resources minister Matt Canavan shook his hand afterwards. Finally, Aly laid blame at the feet of the whole party, whose actions caused such concern the Australian Security Intelligence Organisation issued a warning. "It got to the point that the head of ASIO Duncan Lewis contacted members of the Liberal Party and of the Coalition to warn them about the way they were talking about Islam," he said. The domestic spy chief contacted Coalition politicians in December 2015 to warn them their comments could become a danger to national security. Mr Lewis - who has worked for both sides of politics - told The Daily Telegraph that ASIO depended on a "very good" level of cooperation and information from Muslim communities and a backlash would be "very, very dangerous". Labor leader Bill Shorten said at the time that then prime minister Malcolm Turnbull should "rein into line the far-right wing of his political party and not leave it to our security agencies". Now a white Australian has carried out a vile, racist mass murder targeting Muslims in another country, the people sharing Aly's words are looking for change. But Mr Morrison asked whether we wanted to "get bogged down in this" or "move to how we actually make things better." "I think the answer is to do what I said before, and let's try and better understand where we're all coming from, and not try to line people up on teams." The Prime Minister's Office told news.com.au Mr Morrison had no further comment on the interview. 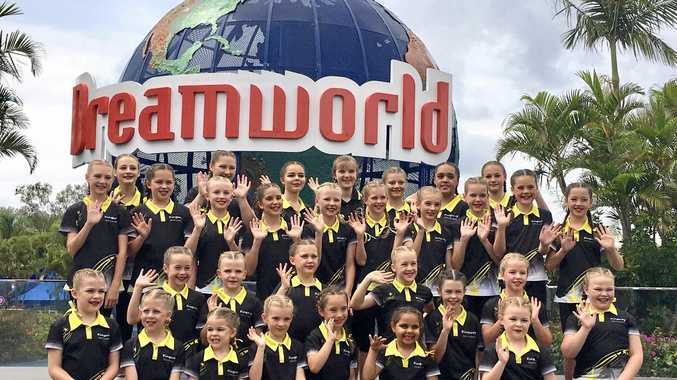 News Over 30 dancers from Kingaroy Dance Academy had the opportunity to perform at Dreamworld on the Gold Coast. News A driver was fined following a crash in Kingaroy. News This is a historic moment for the veterans.